Apple’s new iPad makes many apps including CAD software that developed on the old versions come across some problems, such as low-quality pictures, incapable of full screen display, etc. since these apps are customized for a resolution of 1024×768. 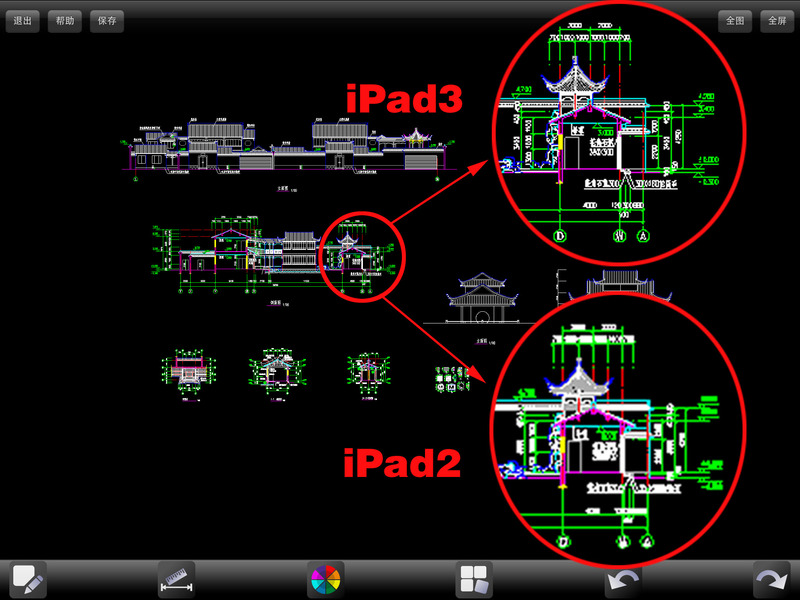 To make users handle their drawings smoothly on iPad3, Gstarsoft updated its old version to GstarCAD MC 1.3, highlighting with high resolution. Click the image below to see the difference in resolution. The company also claims to have “doubled the display performance” in this new version. In reality GStarCAD MC doesn’t read DWG file directly. You need to export your DWG data to a format called OCF using GStarCAD, the company’s AutoCAD clone, which is then read by GStarCAD MC. GStarCAD MC is free and can be downloaded from the Apple AppStore from here.